- For work at height in explosive atmospheres. Suitable for Petrochemical and Mining Industry Environment. - The anti-static material prevent the risk of an electrostatic discharge igniting the explosive atmosphere thus allowing the user to work in complete safety in these high risk environments. 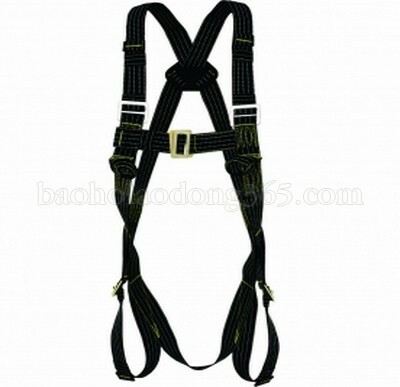 - Comes with two front attachment textile loops in addition to the Forged Aluminium Dorsal D-ring for Fall Arrest. - Stainless Steel Buckles for excellent corrosion protection.